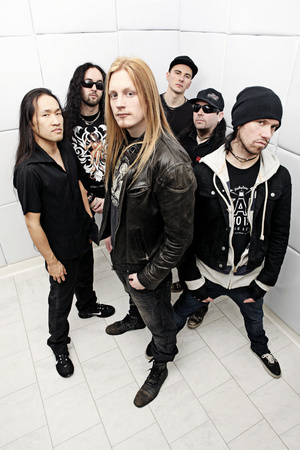 England’s power-metal slayers, DragonForce have booked an intimate show at the Troubadour on Tuesday, October 18, 2011. That’s more than a few months away but this show is gonna be rad and will sell out. Titled as “a special ‘Up Close and Personal’ show,” DragonForce will return to the US after a two year absence to perform this special one-off performance. This will be a unique opportunity for fans and media to preview their new singer Marc Hudson and brand new songs from their highly anticipated forthcoming album, before moving to the big stage with full production on their world tour which commences early 2012. Tickets are available now! This is an all ages show with tickets priced at $22 advance, $25 day of the show. Doors open at 6.30pm, guest artists to be announced. Buy yout tickets to DragonForce at the Troubadour here! This entry was posted in Just Announced and tagged concerts, dragonforce, england, events, metal, pre-sale passwords, presale, presale passwords, presales, Shows, the troubadour on May 16, 2011 by Sandra Burciaga Olinger.